Rope is a 1948 American psychological crime thriller film directed by Alfred Hitchcock, based on the 1929 play of the same name by Patrick Hamilton. The film was adapted by Hume Cronyn with a screenplay by Arthur Laurents. 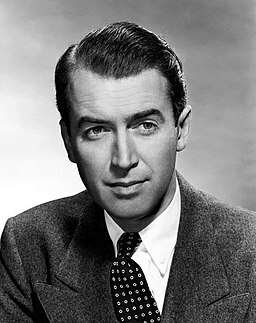 James Maitland Stewart was an American actor and military officer who is among the most honored and popular stars in film history. With a career spanning 62 years, Stewart was a major Metro-Goldwyn-Mayer contract player who was known for his distinctive drawl and down-to-earth persona, which helped him often portray American middle-class men struggling in crisis. 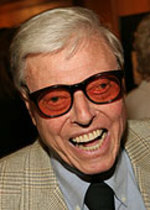 Many of the films in which he starred have become enduring classics. Humoresque is a 1946 American showbiz melodrama by Warner Bros. starring Joan Crawford and John Garfield in an older woman/younger man tale about a violinist and his patroness. The screenplay by Clifford Odets and Zachary Gold was based upon the 1919 short story "Humoresque" by Fannie Hurst, which had been previously made into a film in 1920. 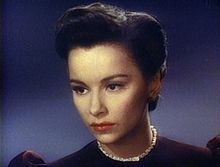 Humoresque was directed by Jean Negulesco and produced by Jerry Wald. Dragstrip Riot is a 1958 film starring Yvonne Lime, Fay Wray and Gary Clarke, released by American International Pictures as a double feature with The Cool and the Crazy. The film's working title was Teenage Rumble; in the UK the film had the more sober title, The Reckless Age. Gary Clarke recalled the film had three directors, David Bradley, producer O' Dale Ireland and one other and was shot over a six-month period. The Pulitzer Prize Playhouse is an American television anthology drama series which offered adaptations of Pulitzer Prize winning plays, stories and novels. The distinguished journalist Elmer Davis was the host and narrator of this 1950-52 ABC series. Samuel Wanamaker, was an American actor and director who moved to the UK, after becoming fearful of being blacklisted in Hollywood due to his communist sympathies. He is credited as the person most responsible for the modern recreation of Shakespeare's Globe Theatre in London, where he is commemorated in the name of the Sam Wanamaker Playhouse, the site's second theatre. 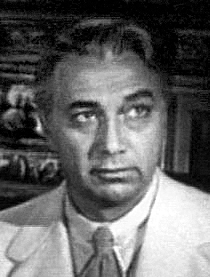 Luther Adler was an American actor best known for his work in theatre, but who also worked in film and television. He also directed plays on Broadway. 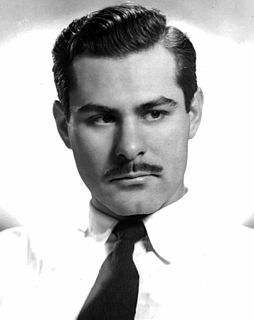 Elliott Pershing Stitzel, better known by his stage name Stephen Elliott, was an American actor. His best known roles were that of the prospective father-in-law, Burt Johnson, in the hit 1981 film Arthur and as Chief Hubbard in the 1984 blockbuster Beverly Hills Cop. Barbara Rush is an American actress. In 1954, Rush won the Golden Globe Award as most promising female newcomer for her role in the 1953 American black-and-white science fiction film, It Came From Outer Space. Later in her career, Rush became a regular performer in the television series Peyton Place, and appeared in TV movies, miniseries, and a variety of other programs, including the soap opera All My Children, as well as starring in films including The Young Philadelphians, The Young Lions, Robin and the 7 Hoods and Hombre. The Philco Television Playhouse is an American television anthology series that was broadcast live on NBC from 1948 to 1955. Produced by Fred Coe, the series was sponsored by Philco. It was one of the most respected dramatic shows of the Golden Age of Television, winning a 1954 Peabody Award and receiving eight Emmy nominations between 1951 and 1956. 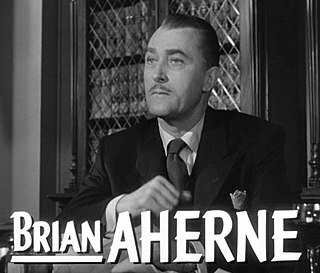 Warren Albert Stevens was an American stage, screen, and television actor. John Baragrey was an American film, television, and stage actor who appeared in virtually every dramatic television series of the 1950s and early 1960s. Peter MacGregor Pagan was an Australian-American actor from Sydney best known for his role in The Overlanders (1946). ↑ "Butler actress makes debut in 'Humoresque'". The Pittsburgh Press . 1 December 1946. p. 17. Retrieved 9 July 2016. ↑ Garfield, David (1980). "Birth of The Actors Studio: 1947-1950". A Player's Place: The Story of The Actors Studio. New York: MacMillan Publishing Co., Inc. p. 52. ISBN 0-02-542650-8. Also [in Lewis' class were] Henry Barnard, Jay Barney, John Becher, Philip Bourneuf, Joan Chandler, Peter Cookson, Stephen Elliott, Robert Emhardt, Joy Geffen, William Hansen, Will Hare, Jane Hoffman, George Keane, Don Keefer, George Matthews, Peggy Meredith, Ty Perry, Margaret Phillips, David Pressman, William Prince, Elliot Reid, Frances Reid, Kurt Richards, Elizabeth Ross, Thelma Schnee, Joshua Shelley, Fed Stewart, John Straub, Michael Strong, John Sylvester, Julie Warren, Mary Welch, Lois Wheeler, and William Woodson. ↑ Cook, Joan (15 May 1979). 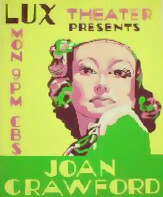 "Joan Chandler Dead: Played on Broadway in My Three Angels". The New York Times . p. B8. Wikimedia Commons has media related to Joan Chandler .